I'm a novelist, but no one knows that yet. In my dream, I’m in my grandparents’ driveway, checking my e-mail on my phone. A literary agent, one who has already rejected me in real life, is being incredibly confusing about what she wants from me. I go to format my manuscript properly, and find all kinds of nonsensical spelling errors. I wake up and check my phone with the same motivations I had in the dream. As if reminding me that I’m really, truly awake, a rejection letter sits at the top of my inbox. The roach letter informs me that this particular agent “just wasn’t hooked enough,” but “wouldn’t be at all surprised if another agent feels differently.” She wishes me luck. 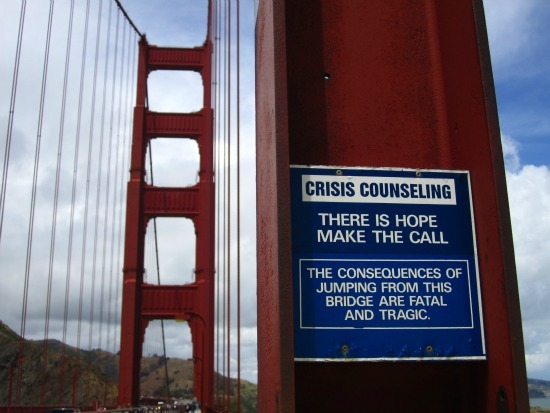 These letters always make me think of the suicide prevention signs they post on the Golden Gate bridge, or other such locations throughout the world. I’ve seen ones from Japan that say “Please reconsider!” Whatever else you can say about literary agents, they know that anyone’s first reaction upon opening these letters is “Goddamnit,” followed by whining. I also think of the “it’s not you, it’s me” speech, brought to fame partially by real life and partially by Seinfeld. I think every single rejection I’ve gotten has reminded me that this is a “subjective” business and told me to keep trying. I’m not sure to what extent I should believe them. There is no way of discerning, from a roach letter, whether your work, through no fault of its own, just isn’t of interest to that particular agent, or if there is some crippling flaw to it that will make all agents run and hide. But it’s hard to continue on, as if success will come as a result of sheer force of will, when your inbox is peppered with little “it’s not you, it’s me” speeches, because there’s a decent chance that it really is me. No one will tell me what’s wrong with my work, though, and I’ll get nowhere by second-guessing everything I do. Until some blessed soul says “Hey, this aspect of your book totally blows, you should fix that,” I have little choice but to stay the course, hoping to be the next Colonel Sanders. This entry was posted in Uncategorized and tagged agents, golden gate bride, kfc, mika, rejection, writing on July 9, 2013 by Yvonne Frank.